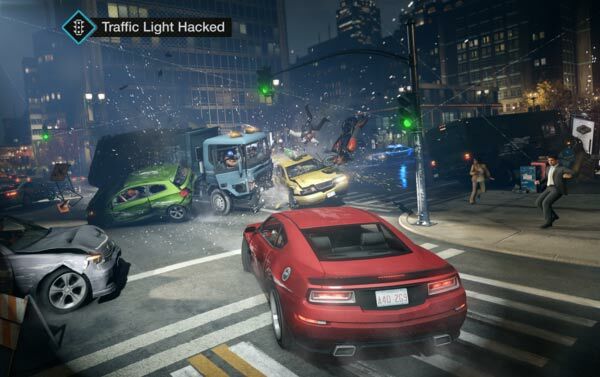 The keenly anticipated Watch Dogs game has been shown off in a new video from Ubisoft. The games development firm provides us with an eight minute video, showing a range of multiplayer play styles, which you can slot in as you wish, as you follow your single player campaign. Three different multiplayer modes are shown. We have also learned more about the skill trees which you can progress though. Colin Graham, the animation director working on Watch Dogs, talks us through what is happening in the video and starts by reminding us that "In the world of Watch Dogs, everything is connected… In Watch Dogs everyone casts a digital shadow". Walking around part of the city your character encounters other people and can see elements of their profiles and even could join their 'game'. He explains that as a player you will look like 'Aiden' to yourself - but to everyone else you will look like a random non-player character. Graham, in his city walkabout, notices that another player has started to try and hack his devices and steal his data. Looking around the various characters he doesn't find an obvious suspect and as time is running out decides to take drastic action. He shoots out some cameras as it appears that no one nearby had instigated the hacking. This causes the NPCs to flee but gains the unwanted attention of the police. Finally he notices the source of the hack is a mobile food van driver so he whips out a machine gun and attacks it and pursues the fleeing hacker's van in a car chase. We hear that the 'enemy' hacker is another Ubisoft exec. Both players gain some skill points for the partial hack and almost capture of the hacker respectively. Next we see a multiplayer game with a PC/Console player pitted against a player of the mobile app. The mobile app gamer tries to use city infrastructure hacking to stop your progress to a destination and your passing of certain check points on time. The mobile player can "explode steam pipes, raise barriers and cause massive traffic accidents," by hacking city systems that you want to drive through/past. A team combat situation is demonstrated in the next part of the video. One team holds an important file and needs time to decrypt it – your team needs to take it from them within a set time limit, using a combination of bullets and Watch Dogs hacking skills to make the environment your ally. Graham and his team engage in combat, take the file and drive off with it so the rival players have to persue them through the streets. 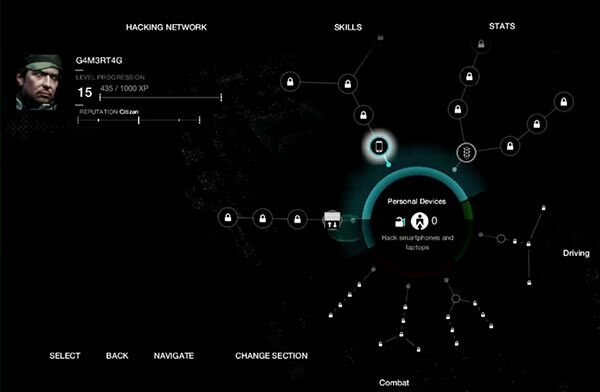 In another report today the guys over at Inquisitr have been looking at the WatchDogs Skill Trees which include; Hacking, Driving, Combat, and Crafting Items abilities. Players additionally earn 'notoriety' throughout their game playing time which provides various boosts alongside your favoured skill tree progression path. Sounds really good, I like the trend of mixing single player with MMO style interactions, and as long as its not abused (or there is a way to stop it being so) I can see it working really well. I like the mobile interactivity too - its like an extension of the already really cool interactivity that Xbox One Smartglass and the BF4 Battlelog apps give us already. Both did seem like a gimmick at first but I use Battlelog all the time as my main map for BF4, really nice feature. Hmm I may well have to upgrade my graphics card for this game. It looks amazing! This game looks better everytime I watch something of it! Watch Dogs may be the most realistic game I'll ever play!